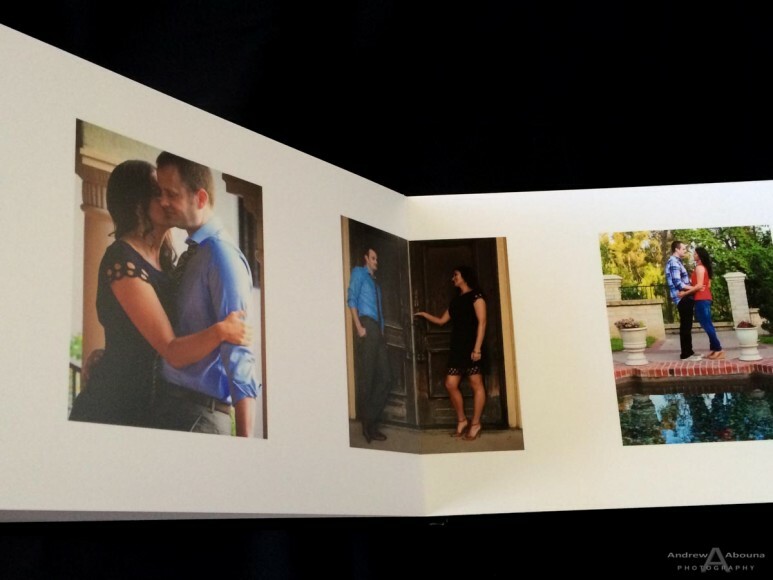 I’m delighted to share with you this layout of Rachel and Shane’s wedding guest album that will be made with a selection of 41 images of favorite images from their engagement session that we created at Balboa Park. 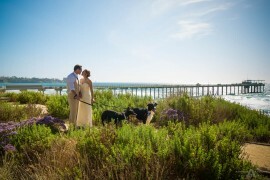 My design reflects the couple’s desire to have the photos intermixed in terms of casual and formal, and scene. The sequence in the archway on the last pages portray good little story so these images appear together as a two-page spread. 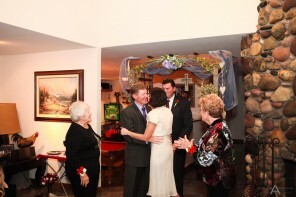 The size of the photos are maximized, while giving a border around them for guest signing. 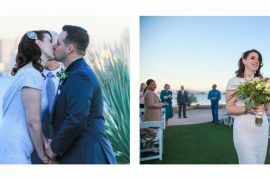 It’s recommended that guest have a choice of black and light colored fine-tipped permanent markers to write directly on the photos or in the border space. Writing directly onto the photos can give a real expression of feelings. The final album was made in Italy by GraphiStudio who, without question, are the finest wedding guest album publication company anywhere. In addition, this album, like all the GraphiStudio albums I create for my clients, includes a complimentary 6-month calendar, with the choice of 7 favorites image. Also featured, are a few Mignon albums as treasured little keepsakes. 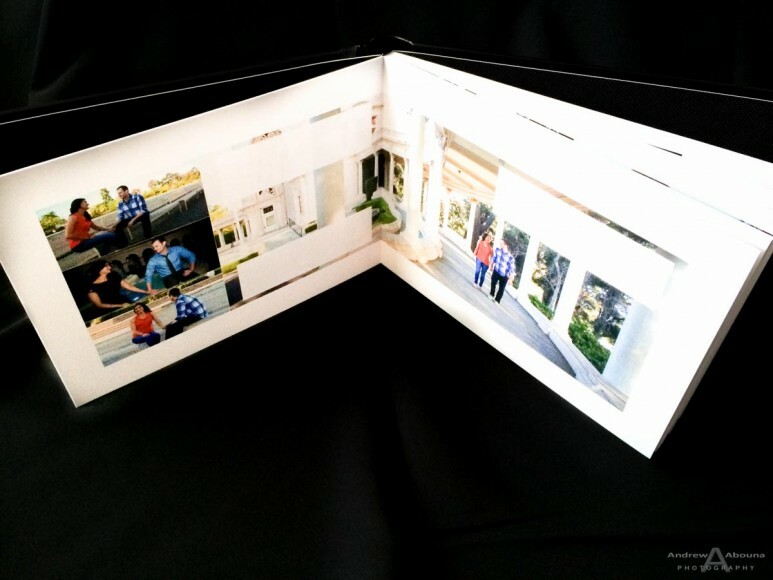 This 20-page wedding guest album measures 8″x12″ when closed and 8″x24″ when open. 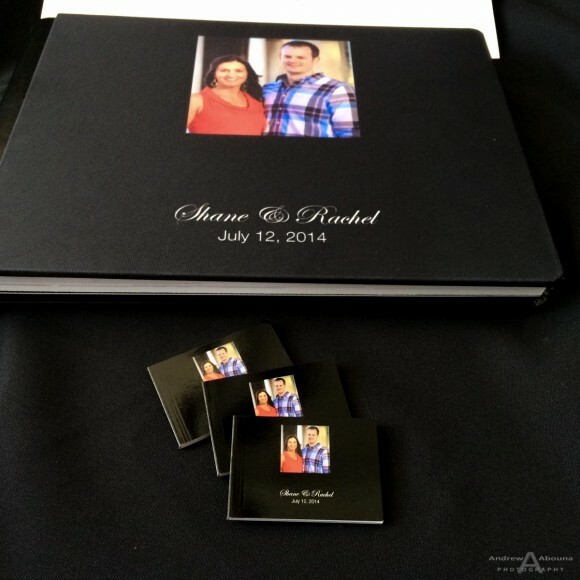 The cover is made of silk with Rachel and Shane’s choice of text and font. The spine and back are leatherette, which in fact feels very nice. Note the thick, seamless pages with no gap on adjoining pages. 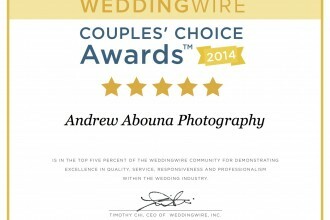 Durability and exceptional presentation are the standard for the engagement, guest, and wedding albums that I make. 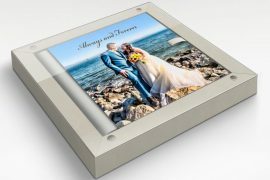 The paper finish is photographic, giving a traditional lustre to the images, and a very high quality finish. The album cover of silk was selected from a range of choices, including clear acrylic, silk, metal, leather, slip-cover, and overstock. 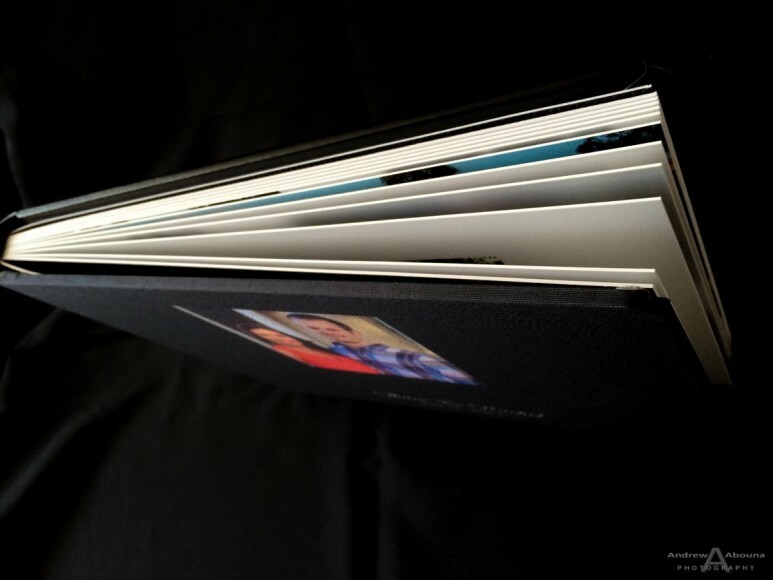 Paper choices for the pages, spine and back cover, can all be personalized. You can read more about my engagement, guest, and wedding albums here. 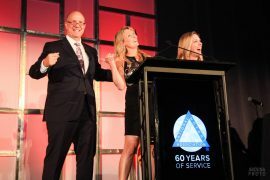 On this page you can open a PDF catalog from GraphiStudio the details the many choices available to you.